News Highlights | Fusion Genomics Corp. The Ready to Rocket list comprises companies that show the “greatest potential for revenue growth.” Of the 5 category winners chosen this year, Fusion Genomics was the winner in the Life Sciences category. We are pleased to be awarded this honour! Although we are glad to see us mentioned in this article published by Vancouver’s own Georgia Straight, we do wish they had done a better job of describing what we do; supplying a simple test for diagnosing difficult-to-identify diseases using modern Next Generation Sequencing technology and our proprietary bioinformatics database and platform! Genome Prairie announced that they are partnering with the Vancouver-based Fusion Genomics Corporation using Fusion Genomics’ ONETestTM platform, including FusionCloudTM analytics, to move forward on Genome Prairie’s Genome360 Initiative, as recently announced in Winnipeg on January 8, 2018 by His Honourable Navdeep Bains. Fusion Joins the Digital Technology Supercluster! Fusion is a member of the newly formed and federally funded Digital Technology Supercluster. 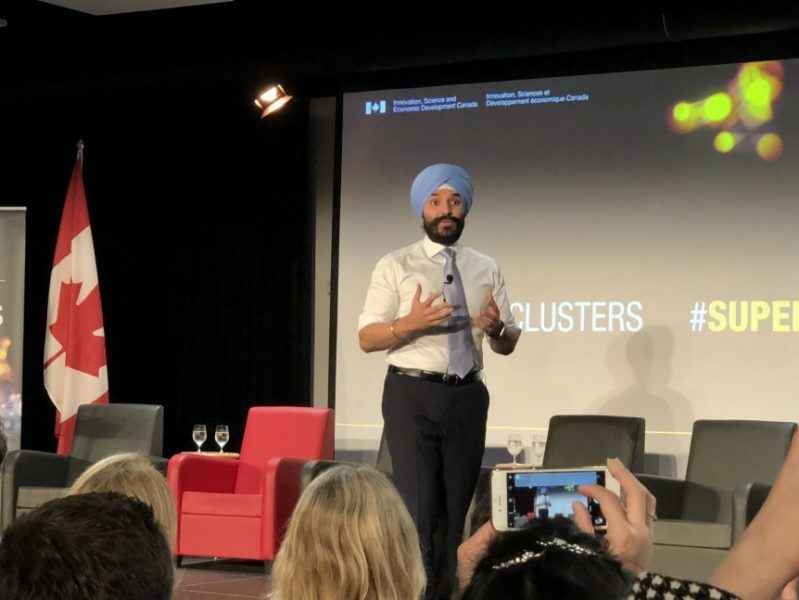 Vancouver, British Columbia, February 15, 2018 – The British Columbia-led Digital Technology Supercluster is one of the funding recipients for the Government of Canada’s Innovation Supercluster Initiative, Minister Navdeep Bains announced today.